The Zen Bamboo Luxury Sheets seem like pretty high quality bamboo bed sheets, but there is not a lot of information about their product. They have a 4.4 star rating on Amazon and carry the badge for "Amazon's Choice", so this product does come highly recommended. That being said, let's see if the quality of this bamboo bedding stands up when put under a microscope. The Zen Bamboo Luxury Sheets are a fabric blend. These are bamboo fabric that is blended with other fabrics like cotton, polyester, and microfiber. While the bamboo blends are typically strong and soft when compared to other types of bamboo fabric, they usually use rayon bamboo material as the base for the fabric blend, which makes them definitely not eco-friendly. 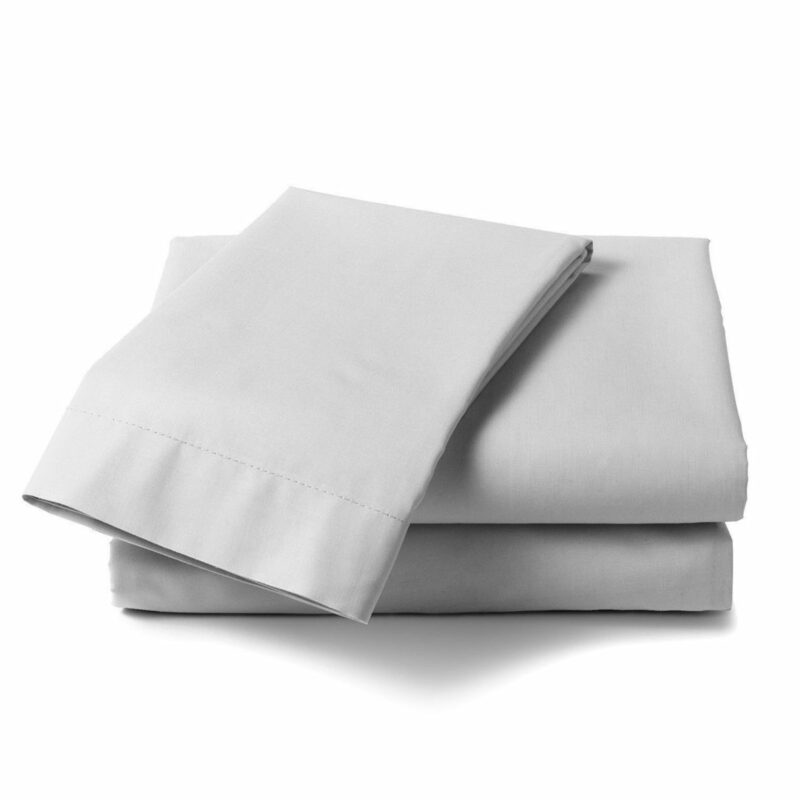 These bamboo bed sheets are made from 40 percent bamboo rayon and 60 percent moisture wicking microfiber. This ratio is actually much lower than others we have seen, whereas others of the best bamboo sheets have more of the bamboo rayon present than the blended material. These bamboo rayon sheets will fit any sized mattress, from a twin to a California king. Though websites do not quote exact measurements, we can tell from looking at the reviews that the sheets should have deep pockets that fit over any depth of mattress. This is nice because it means that if you have a mattress topper made from memory foam or otherwise, these sheets should fit without any issue. They are also available in a wide array of colors. The queen mattress set we are specifically looking at now comes in white, burgundy, gold, taupe, grey, brown, navy blue, olive, and purple. The other sizes come in the same colors, plus two that are excluded from the queen set. As for the prices, the California king set is the most expensive, but it is not by very much at all. There are a few features that come special to the Zen Bamboo Luxury Sheets, due to the ratio of bamboo/microfiber. They are hypoallergenic, but that has little to nothing to do with the bamboo itself. Since the bamboo fabric is made from rayon, the chemical process basically strips the fiber of any beneficial properties the bamboo had. However, the microfiber itself is hypoallergenic, which makes it very nice for people who have sensitive skin or are allergic to a variety of things, like dust or dust mites. One very interesting feature of these sheets is that they are stain resistant. This is a nice touch, especially if you plan on attempting the memory foam test by jumping on the bed with a glass of wine on the end of it. Unfortunately, there is no "About Us" section on their website, but their Amazon page seems to have nearly all positive reviews. All of their products seem to have positive reviews and they also seem to be all made from a bamboo rayon fabric blend. The Zen Bamboo Luxury Sheets are incredibly soft and durable. The ratio of the blend, being 40 percent bamboo and 60 percent microfiber, makes them very strong and some of the softest sheets as well. However, they do sacrifice being breathable because of the amount of microfiber included. On the other hand, these sheets are very easy to care for. Being wrinkle resistant and stain resistant, you do not have to worry about ironing or using hard bleach. They are also machine washable and dryer friendly. The size of these sheets is also very good. Taking from a few reviews, they seem to have very deep pockets, which allow the sheets to fit over almost any mattress depth. The microfiber in this blend also makes the sheets hypoallergenic. This is great for those of us who have sensitive skin or are allergic to many different things like dust or dust mites. You definitely do not want to have an allergic reaction when you are sleeping. While the blend is great and all, the ratio favors the microfiber over the bamboo, whereas in other blends the bamboo has the majority. This is most likely to keep the price of the set lower. Also, because it is a blend, it is absolutely not eco-friendly. Not only are you using more microfiber, which is derived from non-sustainable materials, but the companies that make the rayon use toxic chemicals and create a lot of wastewater. It really bugs me when the eco-friendly tag is associated with these types of products. While yes it does contain bamboo which is sustainable, you are using 60 percent moisture wicking microfiber, which is not eco-friendly at all. Plus, the manufacturing and process of making rayon bamboo material are absolutely not eco-friendly. This is because companies make it with toxic chemicals, and the process results in a lot of wastewater. The harvesting of organic bamboo may be environmentally friendly, but that is about it. Overall, if you are looking for soft, high end luxury bamboo bedding, you are going to have to spend a bit more than 30 dollars on the product. At this price, this set of bamboo rayon sheets is not that bad. Still, we recommend getting 100 percent organic bamboo sheets instead of blends. Obviously, it is up to you. If you want to grab a set of these sheets, the queen set is $28.95 on Amazon. For any other information on a product, including the best bamboo sheets, head on back to Green and Growing. Here are some top questions that I found for people seriously considering buying the Zen Bamboo Luxury 1500 Series Bed Sheets. How deep are the pockets? They seem to easily fit over an oversized mattress. Are these sheets cool? Due to the amount of microfiber in the blend, I would say no. Do these create any static? No, there does not seem to be an issue with static.